In our updated pepper mill report, the longtime favorite Unicorn Magnum Plus edges out the Cole and Mason Derwent Gourmet Precision Pepper Mill for top honors. 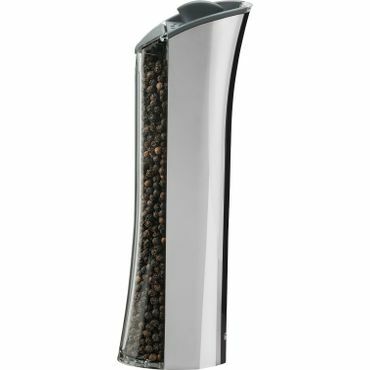 For budget shoppers, the OXO Good Grips Pepper Grinder remains the leading choice, and if ease of use is your top priority, the electric Trudeau Graviti Plus offers no-brainer operation. With a generous 1.25-cup capacity and a trendy, shiny black finish, the Unicorn Magnum Plus blends aesthetics with ease of use and efficiency. A convenient side-loading mechanism makes refilling a breeze. The coarseness is adjusted easily by turning a knob at the bottom of the unit. With no pre-set grind settings, it may require a bit of trial-and-error to get the coarseness just right for your taste. Reviewers say the Unicorn Magnum Plus, which is backed by a one-year warranty, is best for medium-to-coarse grinds. The OXO Good Grips Pepper Grinder is a worthy occupant of the middle ground between pricier pepper mills and store-bought tins, reviewers say. It's easy to use and fill, and since the grinder is at the top of the unit, it won't leave traces of pepper all over your table or counter. There are five coarseness settings, and an easy-to-grip exterior lessens the chances of damaging drops. Reviewers rave about the service they've received from OXO, which offers a lifetime satisfaction guarantee. If it's hard to grip and twist a manual pepper mill -- or you're too busy in the kitchen to fuss with one -- the Trudeau Graviti Plus is an ideal choice. Simply tip the unit like a pitcher and out comes your fresh pepper, ground to consistent sizes from fine to coarse. A mix of see-through plastic and chrome, the sleek Graviti Plus is a strikingly modern addition to any table. It's also not as awkward and top-heavy as some other electric pepper mills. 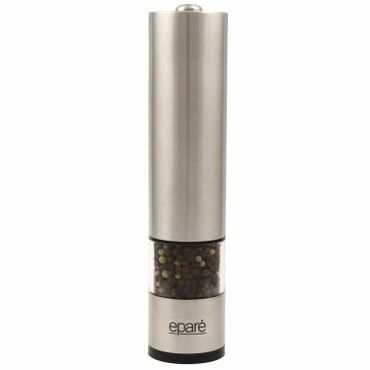 The 9-inch Epare Battery Operated Salt or Pepper Mill and Grinder is an attractive choice for any kitchen, reviewers say, and they love the clear window that lets them see how much pepper is left in the grinder. This Epare mill has a variety of grind settings and its use is not limited to pepper -- it also will grind salt and other spices. Epare backs this unit with a limited lifetime warranty and users give Epare's customer service rave reviews. With a typical manual pepper mill, you twist a finial or knob, move a lever or perform some other action to get the head to turn, which results in grinding. Manual grinders tend to be quieter and more durable than their electric counterparts, and experts say they produce a more consistently-sized grind. 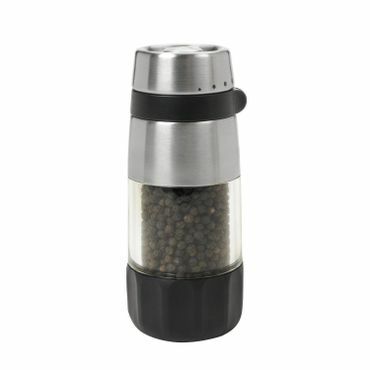 They're also far more common than electric grinders, so you may be better off going with a manual pepper mill if you want the best selection. 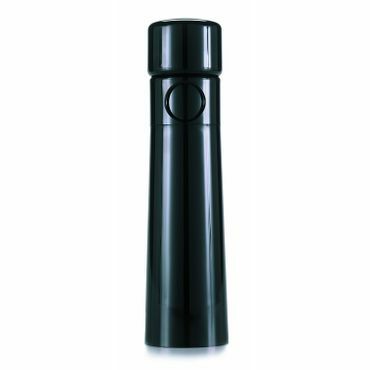 While purists prefer a manual pepper mill, many cooks love electric pepper mills because they are so easy to use. This type of grinder is powered by a battery-operated motor. That can be a nice convenience for a cook who needs to multi-task in a busy kitchen. Electric mills may also be ideal for anyone who lacks the hand strength and dexterity to twist a manual pepper mill. However, they have some limitations: they aren't as durable, they're slow, and they may not offer as wide a range of grinds. You'll also run through batteries quickly unless you opt for one of the few rechargeable models on the market. There are a handful of thorough expert tests and reviews of pepper mills. Most helpful are the hands-on tests of pepper mills from sites like TheSweethome.com, SeriousEats.com, Cooks Illustrated and Fine Cooking, all of which pit popular models against one another in head-to-head testing, evaluating each for ease of use, durability, grind efficiency and grind consistency at various grind settings. Also considered in these comparative tests are size and capacity, as well as cost considerations. Foodal.com and TheKitchn.com also offer helpful round-ups based on real-world use. For more insight on long-term durability and real-world ease of use, we turned to owner reviews from Amazon.com, Williams-Sonoma.com, and BedBathandBeyond.com. Amazon.com is the most helpful site by far, offering hundreds of cooks' perspectives on how their pepper mills perform in the home kitchen. To name the best pepper mills, we evaluated these reviews by focusing on ease of use, grind speed and consistency, and durability. The ability to swiftly crank out enough fresh pepper. A grinder that's simple to operate.